PETA restages original children's play Tagu-taguan Nasaan Ang Buwan? On its 51st Theater Season, Philippine Educational Theater Association (PETA) restages an original children’s musical that will take audiences to a world where everything is possible with the use of a little imagination. PETA is proud to continue its mission to provide extraordinary theatrical experiences for children of all ages as it presents J-mee Katanyag’s “Tagu-Taguan Nasaan Ang Buwan”. This enchanting production, directed by Dudz Teraña (director of PETA’s well-loved classic, “Batang Rizal”), comes alive at the PETA Theater Center from November 16-29, 2018. “Tagu-Taguan Nasaan Ang Buwan?” is about the forgotten land of Saysay Lupalop, a world of stories that had limitless possibilities. With the curse of the evil Papaw Halimaw, the magical realm becomes Dilim-Dilim Land, an arid and hopeless place full of fear and restrictions. It is now up to Popoy, the young descendant of Lola Basyang, to save the world of stories with the use of his shining heart. Initially unaware of this, his Lola Luna helps him rediscover this forgotten world through the help of some unlikely friends. The play focuses on the importance of storytelling and literature in enhancing children’s innate creativity. “Tagu-Taguan” also shows how stories of imagined tales and far-flung places could enrich a child’s understanding of the world. ‘Tagu-Taguan’ is inspired by PETA’s vast collection of children’s productions. Katanyag has borrowed characters from PETA’s previous children’s stories like Pepe and Pepito from “Batang Rizal”, Prinsesa Mina from “Ang Tiririt ng Ibong Adarna”, Little Match Girl from “Hans Christian Andersen Must Be Filipino”, Ngo from “Ngo ang Dagang Patay” and Ismail and Isabel from “Ismail at Isabel”, and brought them to life once again for young audiences to enjoy. The production also features a young set of artistic collaborators. Under the direction and choreography of Dudz Teraña with Associate Director Ian Segarra, the creative team includes: Jeff Hernandez, Composer and Musical Director; Charles Yee, Set Designer; Leeroy New, Costume Designer; Loren Rivera, Lighting Deigner; Sig Pecho, Shadow and Video Design. Portraying the boy Popoy are the talented young artists Albert Silos, Omar Uddin, Bourne Luna, and Andrew Figueroa. The role of the forgetful Lola Luna will be given life by Joann Co, Marichu Belarmino and Upeng Galang-Fernandez. They are joined by a talented troupe of young theater actors: John Moran, Vien Alen King, Eric Dela Cruz, Roi Calilong, Joan Bugcat, Gab Pangilinan, Gold Villar-Lim, Angelo Lantaco, Raven Relavo, Julia Enriquez, Yeyin Dela Cruz-Moran, Teetin Villanueva, Lemuel Silvestre, Gerhard Krysstopher, Ian Segarra, Joseph Madriaga, Vic Robinson and Norbs Portales. ‘Tagu-taguan’ is also available on tour. For inquiries and ticket reservations, contact PETA Marketing and Public Relations Office at Tel. No. 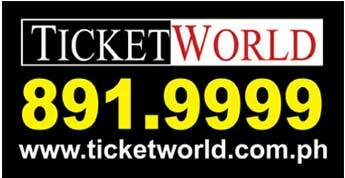 725-6244, or TicketWorld at 891-9999, www.ticketworld.com.ph.